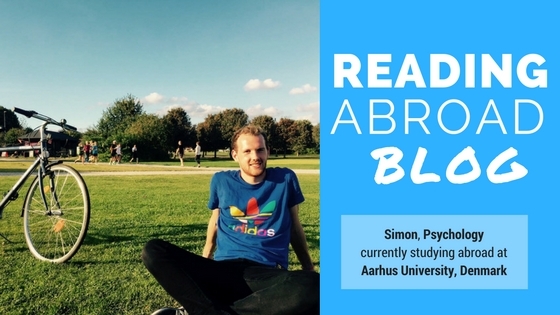 Simon is studying abroad at Aarhus University in Denmark as part of his Psychology degree at Reading. Find out how he foundDanish life just a few weeks into his semester studying abroad. On the evening of the 18th of August I arrived in Aarhus for my exchange semester. My extremely helpful mentor picked me up from the bus station and took me to my apartment…then the non-stop action began. I dropped my stuff off, had a shower and went out to a party at my mentors’ house. It felt like a bit of a blur, but everyone was very welcoming and friendly. It was great to meet lots of Danish people on my first night, be able to ask them questions about their culture and what I must do during my time here. I didn’t know then and I’m not sure I do now, but I think that was my first experience of Hygge. The next day came and with it brought more names, more faces and more exciting opportunities. The only difficulties I were having involved remembering people’s names and being unsure if I was spending lots of money or not much at all, it being Denmark I figured a lot. Each day seemed to bring with it a new event, always with more great people and more names to remember. I assumed that this would settle down after the first week but if anything it continued even more so. The Aarhus festival began, this happens every year and it was an amazing time to be in the city, as all over there are events happening. Music, art, dance, food… in all different venues, that could be easily located using the festival app. You downloaded this and all the English events could be searched for easily along with their location and price. Most of the events were free and it created an incredible atmosphere in the city as there were so many people out and about having a great time. By my third week, I had properly learnt some names, classes had begun and I thought that maybe things would be settling down a bit. I was wrong again, yet more events followed, the equivalent of our Reading Student fair in Aarhus turned out to be the equivalent of a small music festival. There were stages set up with music going on (lots of Danish rap) and an extremely organised tournament of beer bowling took place. In Aarhus they take their drinking games seriously, the tournament was even streamed onto a big screen. A lot of practice goes into preparing for them and they had umpires! Overall, it was a remarkable event completely run by students on the University grounds. Finally, I could catch a breath, four weeks in and I felt like I was here. This was when I fully appreciated what a city Aarhus is, full of life and interesting architecture. I visited Aros, the Moesgaard museum and the deer park during this week, each unique and wonderful. I had begun to find my way around Aarhus now, but I still couldn’t remember everyone’s name! 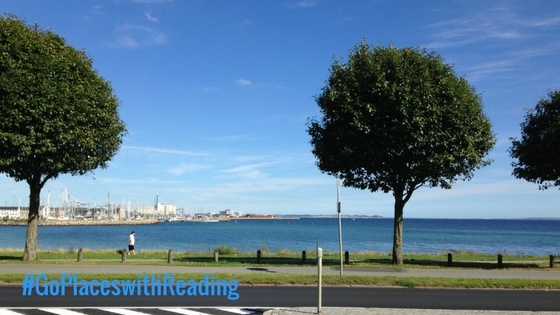 This entry was posted in Denmark Study Abroad and tagged 2016/7, Denmark, Europe, Psychology, Semester Abroad, Student, Study Abroad, University of Reading. Bookmark the permalink.